SBI Cerk JA Mains Result 2018, Score Card & Cutoff Marks Download: State Bank of India (SBI) has conducted the Clerk (Junior Associate) examination on august 5th. Aspirants applied for the State Bank of India Clerk posts have appeared for the Main examination on the scheduled dates. All the hopefuls appeared for the SBI Clerk examination have already checked with the answer keys after completing the examination. Candidates are now keen to check the results can visit the SBI official website, sbi.ac.in to download the result. The State Bank of India will soon announce the SBI JA/Clerk Results, cutoff marks, and merit list declared September 22nd. Candidates can stay checking the SBI portal to know about the result date and more updates. SBI Clerk Mains Result 2018 : State Bank of India (SBI) is the largest bank that has been spread across India and overseas. State Bank of India is an Indian multinational, Public Sector banking and financial services company. 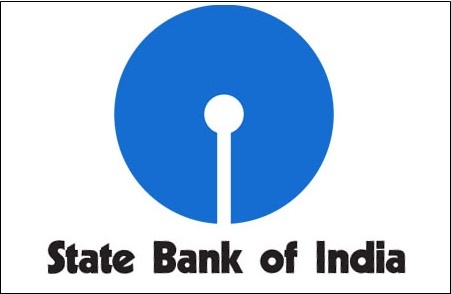 SBI is owned by the government corporation and the headquarters is located in Mumbai, Maharashtra and also its corporate office is located in Mumbai, Maharashtra. SBI is established on 27th January 1921 as an imperial bank of India later changed as State Bank of India on 1st July 1955. The bank annually offers various jobs for the eligible personnel. The State Bank of India has released the notification for 8301 Junior Associate /Clerk vacancies. The SBI has accepted applications from eligible and interested aspirants during the application dates. Millions of aspiring candidates have applied for the SBI Clerk posts. The selection process will be held through written test (preliminary and Mains) and personal interview/GD rounds. Candidates need to qualify in each round of selection process to appear for the next round of the selection process. The SBI has conducted the preliminary examination in 44 examination centers across India. Approximately 10 lakh above aspirants have competed for the SBI Clerk Preliminary examination. All the hopefuls waiting for SBI Junior Associate Result 2018 can shortly check the result from the official website, sbi.co.in. The SBI is expected to release the result within 3 to 4 weeks after the examination (tentatively). Stay checking the SBI official portal, sbi.co.in to check the latest updates about results, merit list, and cutoff marks. The SBI is going to release the SBI Clerk Cutoff Marks/qualifying marks. Applicants have to score the qualifying marks to get qualified in the exam. Based on the merit of aspirants, the candidates will be sent for next round, mains examination. Candidates have to score the category-wise and section-wise cutoff marks to clear the examination. Applicants clearing the test will be listed in SBI Clerk Merit List 2018. Aspirants can check the details of SBI JA Cutoff Marks, Merit list at the time of results. How to Check SBI Clerk JA Mains Result 2018 Online? On the homepage click on the SBI Junior Associate Results 2018 link. Enter the details of register number, password etc. Check the result, cutoff marks, and merit list. Take a printout of the result if needed for further reference. Iam unable to submit the page as it is not showing the string/captcha.. Please help us to get the results.